Recently I helped a client pick out new tile for a back splash for their kitchen renovation. They painted their cabinets white, and antiqued them with a pecan glaze. 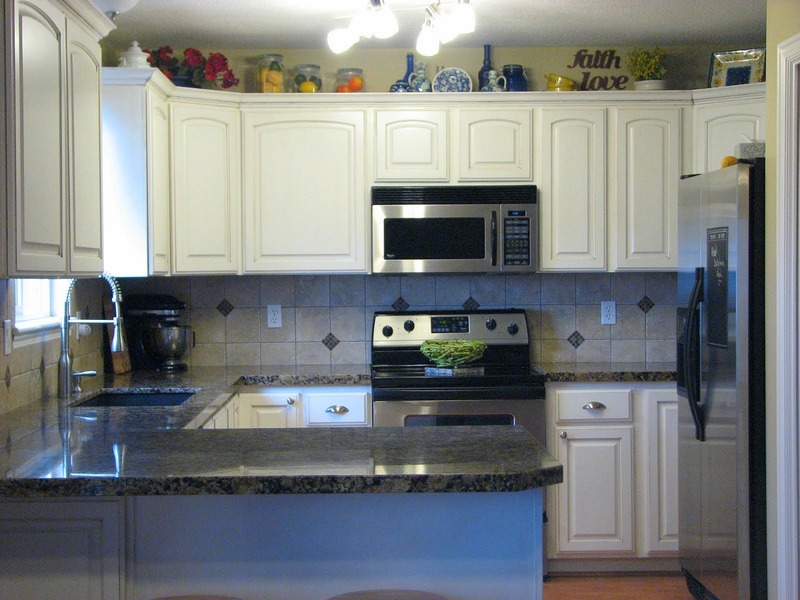 They added beautiful granite counter tops, kitchen sink, faucet, and hardware. They wanted to keep the back splash light but tie in the darker granite. The colored glass can get quite pricey; however, by adding it as an occasional accent piece it ties in other colors and keeps the cost down. They did a fantastic job on this renovation, such a difference to how much it lightens and brightens the room! I really appreciated all your help! Thank you! 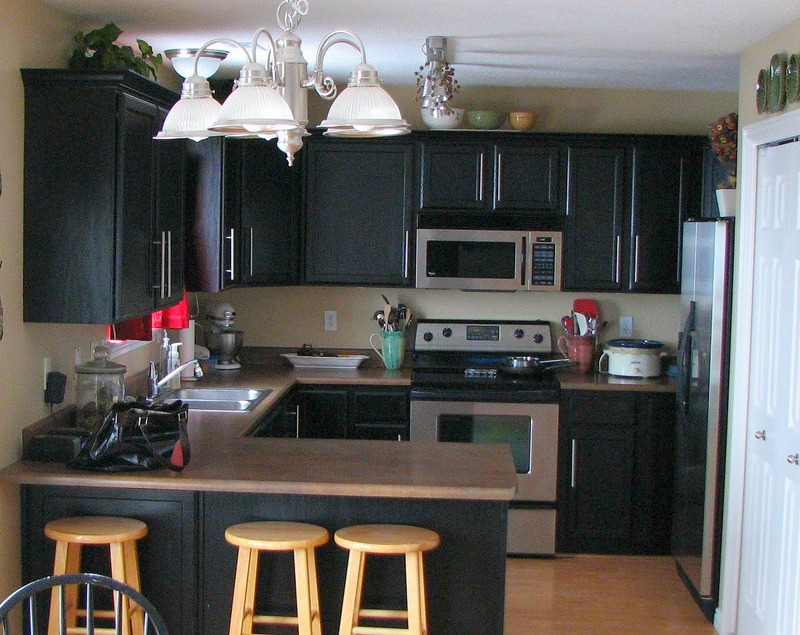 This kitchen looks very familiar! I think it looks so much better now! Good job Trish! And good job "client"! !